Today marks the start of Automechanika Johannesburg, which is South Africa’s leading international trade fair for the automotive service industry targeting trade visitors from the Sub-Saharan Region. 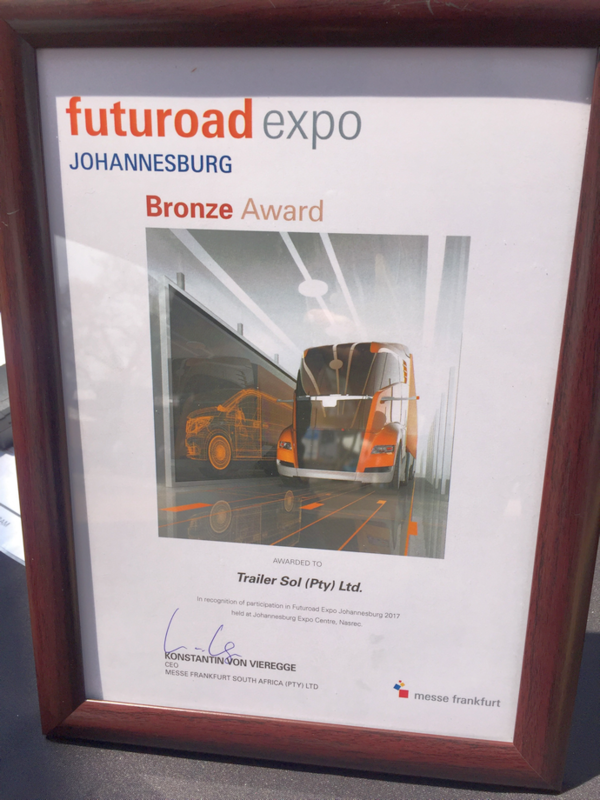 The show runs until this Saturday 30 September 2017, at the JHB Expo Centre, Nasrec. 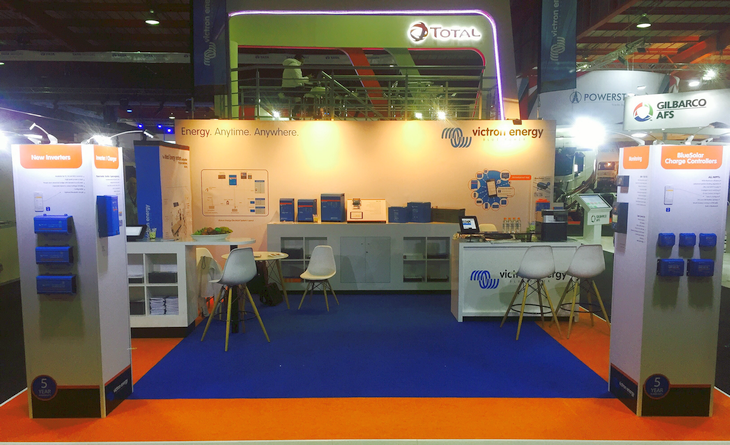 The Victron stand is in Hall 6 at Booth J20. If this is your locale and area of interest why not pop along to the stand and have a chat with Andre du Rand, or indeed Gerrit Tromp or Peter Bakker who are all there to help with any questions you may have. A bit about Victron Energy customer Trailersol, as an example of Victron product integration. Trailersol are the first company to provide solar powered solutions to commercial truck fleets with solar powering their tail lifts – with over 700 systems deployed in the last 16 months. 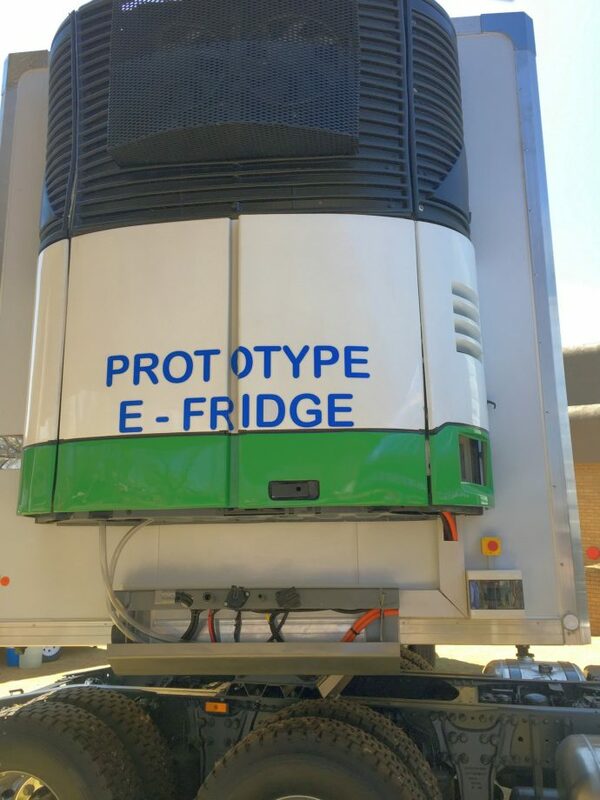 Their latest solution is the E-Fridge cooling solution which is powered by a LiFePO4 battery system. 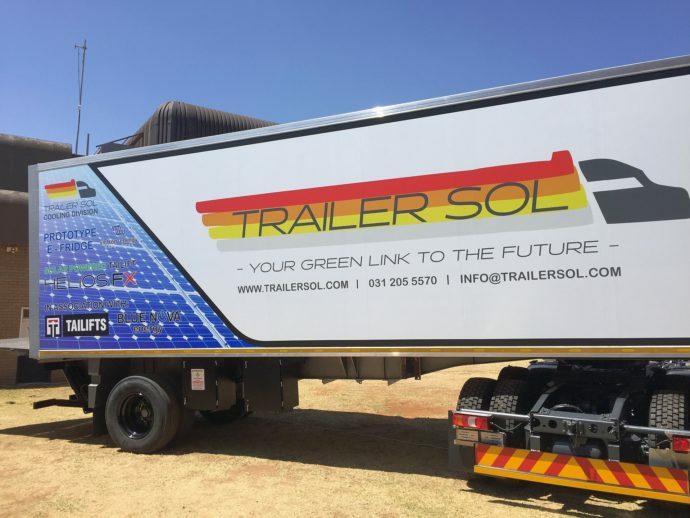 Trailersol Director Roberto Soares remarks that the fleets are enjoying big savings on fuel and maintenance costs, which he links directly to the solar power solutions. 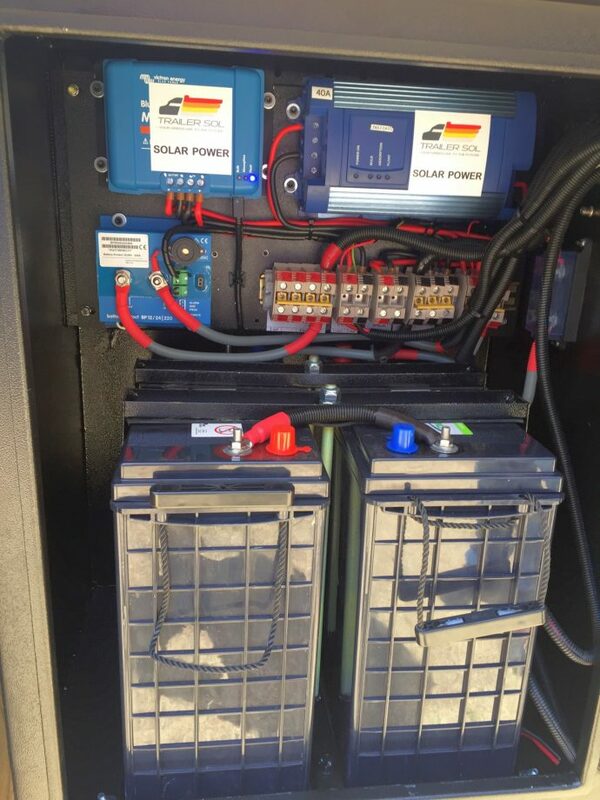 The unique onboard Trailersol telemetry systems enables full visibility for fleet managers – plus with Victron’s Bluetooth Smart technology that all assists them in offering a country wide 24/7 back up service. Roberto adds that Victron’s Bluetooth Smart technology enables for a quick turn around on maintenance calls, as Bluetooth Smart immediately assists with diagnostics and fault finding.